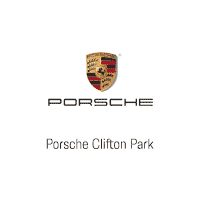 Porsche Clifton Park is committed to bringing New York drivers the world-class car-buying experience they’ve come to expect of the prestigious Porsche brand. From the moment you walk through the doors of our Mechanicville dealership, our outstanding staff is readily available to assist you with all your needs. We do our best to pair the superior quality of the Porsche models in our showroom with top-notch customer service, providing you with a flawless car-buying experience. Each of the luxurious Porsche models we feature combines the sleek, agile body of a sports car with a sophisticated cabin filled with the finest technology available, resulting in a beautifully engineered vehicle. Slide into the driver’s seat of one of our new Porsche models, such as the 718 Boxster, Panamera or 911 to experience the flawless driving dynamics for yourself. Or if you’re looking for first-class seating for a larger crowd, take a peek inside the Porsche Cayenne or Macan. Each model can be tailored specifically for your individual needs and requirements, so we can ensure you’ll have all the features, amenities and colors you desire. And we make driving your dream car more attainable by offering a large selection of pre-owned Porsche models, too. Visit our showroom near Albany to see the wide variety of Porsche options we have on our lot, and let our Porsche finance team find the right plan for you. After the papers are signed and you’re officially the proud owner of a new or used Porsche, you can count on our dealership near Schenectady to continue assisting you with all your maintenance and repair needs. Our top-of-the-line Porsche service center is staffed with certified Porsche experts who will meticulously care for your vehicle. We equip them with the finest tools and technology available so they may provide the best, most efficient maintenance. Our Porsche dealership near Troy is also your prime resource for genuine Porsche parts and accessories. We specialize in all things Porsche to ensure your vehicle is getting the proper care it deserves. At Porsche Clifton Park, we’re as passionate about helping you find your dream car as you will be about driving it. Visit our dealership, conveniently located at 205 Route 146 in Mechanicville, just a short drive away for our friends in Clifton Park, Troy, Saratoga Spring and the rest of the Empire State. We’ll have you driving your dream car home in no time at all. Nick was great. I manage a dealership for another luxury brand and my experience with Nick was as smooth and professional as I've seen. We reached a deal that was fair (I got a good price and he made some money) in just a few minutes on the phone. Nick picked me up at the airport and gave me a ride to the dealership. Upon arrival the car was clean and full of fuel, and all paperwork was ready. Thirty minutes later I was on the road. Top notch service, highly recommended! Great service. Good waiting area.